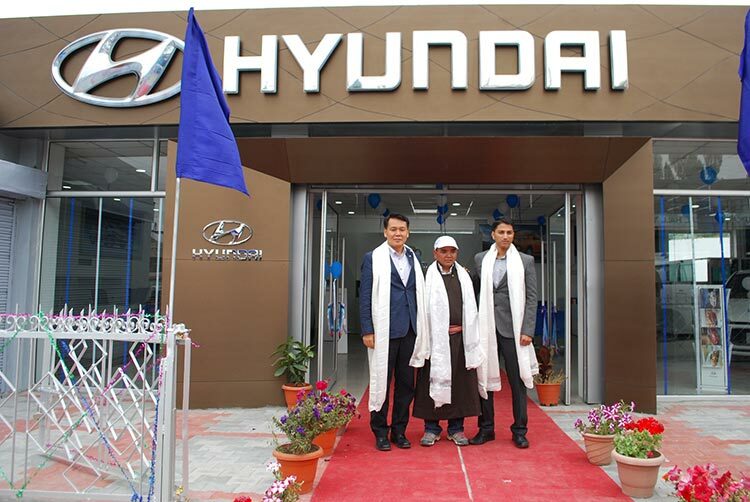 Hyundai Motor India Ltd, the country’s leading premium car manufacturer and the largest passenger car exporter, today inaugurated its highest premium dealership- ‘Togo Hyundai’ situated near 1, Airport Road, Skalzangling, LEH (J & K) , Pin -194101. Built at the highest altitude of – 11184 feet from sea level, Togo Hyundai will offer an unparalleled premium experience to the customers in India. Situated in the state of J&K, the facility has been designed and created to provide a premium ‘Hyundai Experience’ for customers. Promoted by Mr. Sonam Angchok, the new showroom is spread across a total built up area of 11811 sq. feet and boasts of a capacity of 2156 sq. feet to showcase the range of Hyundai cars, 9655 sq. feet space is used as the service/ workshop area. The new premium dealership is an initiative to meet customers’ needs and aspirations of owning Hyundai cars in one of the remotest and toughest terrain in the world. Hyundai is the most loved, trusted and caring new age global brand. Our vision is to be the life time partner of our customers and we would like to offer premium Hyundai experience at all the touch points through our channel partners spread across the country. Jammu & Kashmir is a significant market for Hyundai in Northern India and will help us to strengthen our presence in this region. With a premium infrastructure in place, we are sure that the Togo Hyundai will tap the potential of this emerging market and provide prompt and efficient sales and service to our valued customers in and around Leh. The new identity provides the most digitally and technologically advanced buying experiences for automobile customers. The showroom has additional facilities like a customer lounge & accessories display. The modern premium dealership will be managed by a dedicated team of qualified and experienced personnel who will make the Hyundai buying experience hassle free while taking care of the sales and service requirements of customers.